Portugal beat Morocco 1-0 yesterday in what was a highly frustrating game for the Moroccans. After falling behind early, Morocco dominated most of the game but just couldn’t find the back of the net despite having numerous good chances. 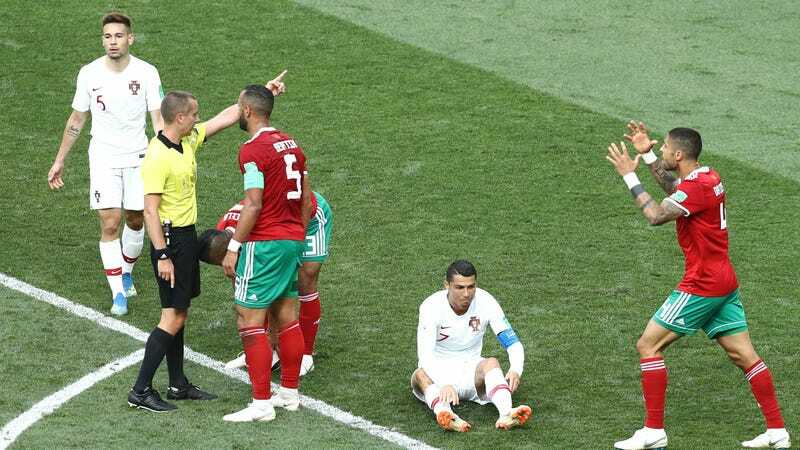 That frustration stuck with Morocco midfielder Nordin Amrabat after the game, when he accused one of the referees of being a big herb who was in the tank for Portugal. While speaking to a Dutch television station, Amrabat said that he felt like referee Mark Geiger was “very impressed by Cristiano Ronaldo,” and claimed that one of the Portugal players, Pepe, had told him that Geiger asked for Ronaldo’s shirt. “What are we talking about? At the World Cup? It’s not a circus here,” Amrabat added. There’s only one way to get the truth here, and that’s to raid Geiger’s hotel room and look for a sweaty Portugal jersey. FIFA should act immediately.